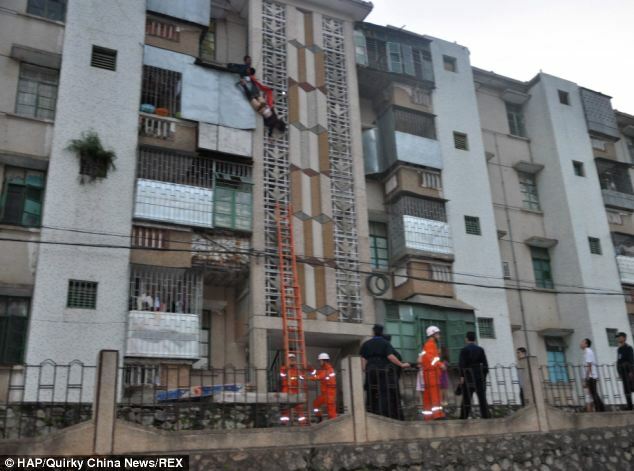 A quick-thinking husband managed to catch his suicidal wife at the moment she decided to jump from the balcony a Chinese tower block. 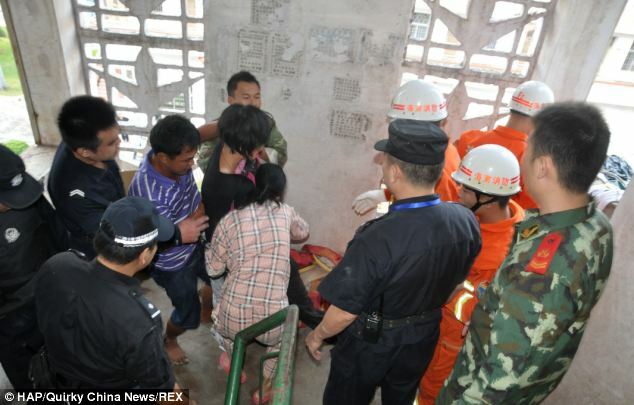 The man managed to grab the distraught woman as she hung over the fourth floor balcony in Changjiang, southern China’s Hainan Island. 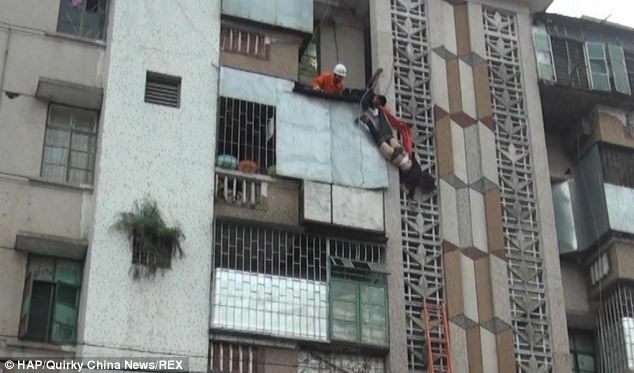 According to the woman’s husband they were arguing when his wife suddenly went to leap from the balcony. He rushed forward and was able to grab one of her legs – leaving her dangling over the drop below with her trousers half pulled off. He managed to hold onto her for ten minutes while emergency services arrived. When until firefighters arrived grabbed hold of the woman and helped to pull her back to safety. The woman was then comforted by concerned family and friends in the staircase before being transferred to hospital.